As we remember those who have served our country, we take a look at one Montanan who followed her passion, heritage, and broke boundaries in her service to this country. 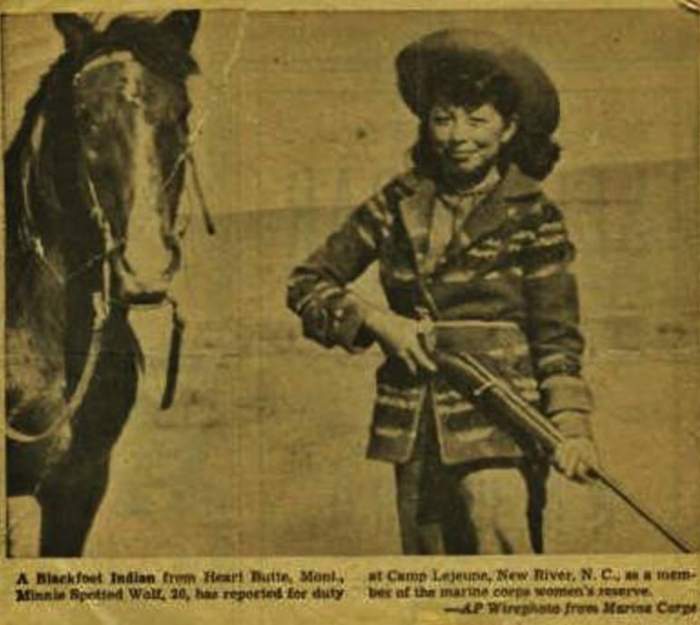 She is a huge part of our history here in the Treasure State.Minnie Spotted Wolf was a member for the Blackfeet Nation and grew up here in Heart Butte Montana. According to the Armed Forces Museum website, in 1941 Minnie Spotted Wolf was 18. That is when she first tried to enlist in the US Marine Corp. But she was turned away and told war was no place for women. She returned to her family's ranch in Heart Butte. But she didn't give up on her dream. Earl Old Person who was chief of the Blackfeet Nation remembers her. "Her family really thought good things about her, being that she wanted to go and help protect our land by joining the Armed Forces" said Old Person. It wasn't until 1943, 2 years after she first tried to enlist,that she was accepted as the first Native American woman to join the corp. The Montana Historical Society quotes her saying boot camp is hard but not too hard. She served for four years in California and Hawaii as a heavy equipment operator. 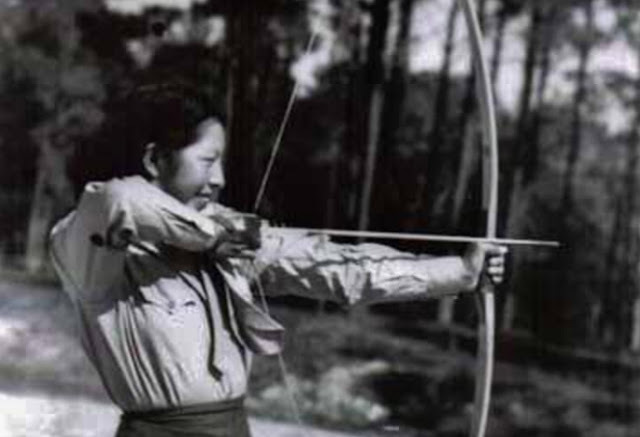 In a statement from Governor Steve Bullock he said "Minnie spotted wolf encompassed both the trailblazing spirit of Montana women and the resilience of the Native American people. Her legacy, her bravery, and her service to our state and country will long be remembered." "Right after World War two all them veterans came home and they had a big celebration for them on Christmas night at star school and she was one of the ones honored,"said Old Person. Honoring her went even further than that celebrations. Minnie was featured in a girls magazine as an inspiration to the youth. once home. Minnie met Robert English, they got married and she pursued a degree in education and eventually going on to teach on the reservation for almost 30 years. She was remembered at the memorial day ceremony in great falls by Diane Carlson Evans a former vet herself. "We were young during Vietnam and I knew we stood on their shoulders. Those women opened doors for us. The women in the Army Corp the WASPS who flew plans and then the women in the minorities," said Evans. 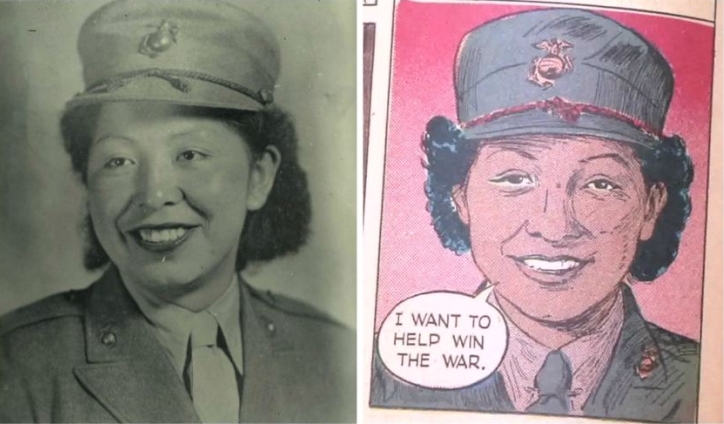 Responses to "First Native American Woman in the US Marines remembered"